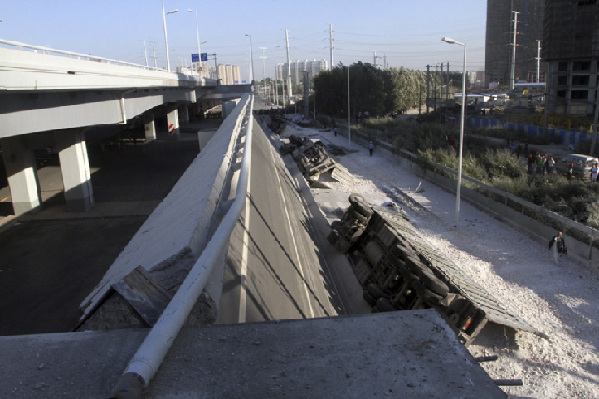 Early Friday morning in the northern Chinese city of Harbin a newly constructed bridge collapsed killing three people. The approach ramp to the bridge was laden with four trucks each overloaded with grain and building materials. The total weight of the trucks exceeded the capacity of the span and it snapped at both ends. All three trucks dropped 30 metres to the ground. Five remain in hospital. What’s surprising is this is the sixth bridge collapse in China this year, according to China Daily. In August 2007 the Minnesota I-35 bridge collapsed killing 13 and injuring 145. It was one of the worst bridge disasters in US history. At that time more than 100 cars were on the bridge during rush hour. The two accidents seem similar, but are worlds apart. In Minnesota the collapsed bridge was designed in 1961 and hadn’t been properly inspected. Steel plates holding the main sections together failed due to age, design flaws and stress. In China the bridge was less than one year old. The original construction timeline called for a three-year project. The bridge was built in 18 months. The US is frequently chided for its failure to invest in infrastructure. These long-term investments carry little immediate impact but over time make the nation more competitive. 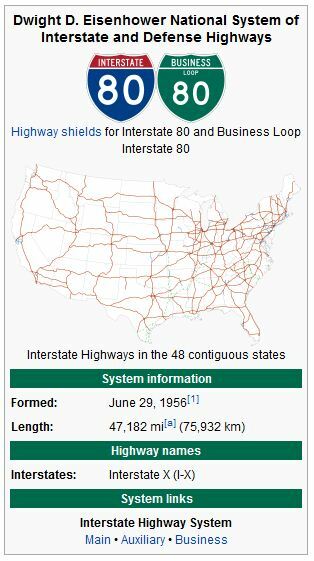 In the 1950s President Dwight D Eisenhower invested heavily in a national highway network. Many of these 60-70 year old construction projects are needing replacement today. In China the large investment in infrastructure has brought progress at an alarming rate. The highways and rail networks connecting the nation are brand new and under-used. In time these will prove a competitive advantage – if they last. The bridge collapse in Harbin demonstrates the rush to build infrastructure is a wasted effort when contractors, designers and government officials responsible cannot create long-lasting projects. The collapse of six bridges in a year is worrying. The fact one of them was less than a year old is alarming. The Government of China is wasting its money if it doesn’t invest in quality infrastructure.